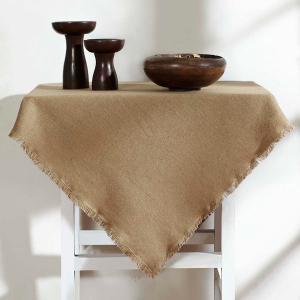 Dress your table with the Burlao Natural Fringed Table Topper for a Farmhouse look. 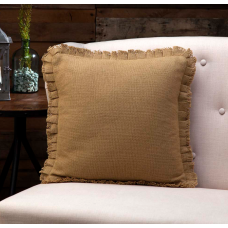 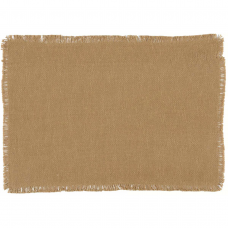 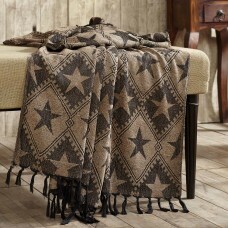 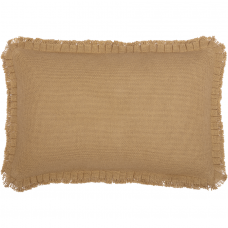 Crafted in timeless soft cotton burlap, it is a timeless adornment for your home. 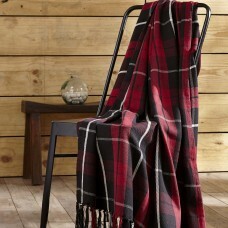 Topper measures 40" x 40"